What Is Boyon Tongue Retainer? How Is Boyon Tongue Retainer Different? Does Boyon Tongue Retainer Stop Snoring? Does Boyon Tongue Retainer Have Any Side Effects? Who Should Buy Boyon Tongue Retainer? Boyon Tongue Retainer is a mouthpiece designed to hold your tongue firmly in place while you sleep and prevent it from collapsing to the back of your throat and blocking your natural airflow. Snoring is a serious and frightening problem that can lead to numerous health issues if the cause is not properly diagnosed and addressed. 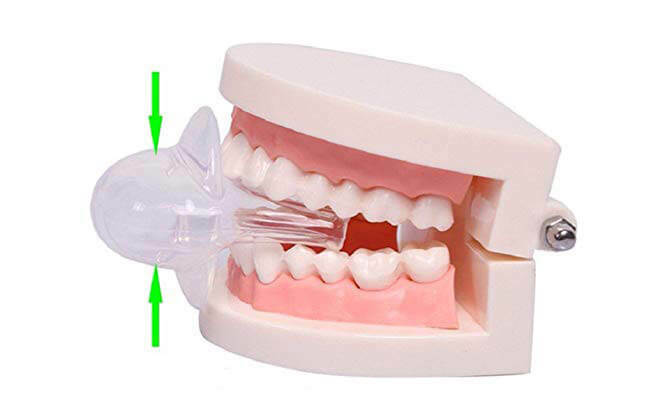 Tongue retaining devices are the least invasive anti-snoring mediums since they do not require any acclimation whatsoever, they are usually very small, and most importantly, they do not interfere with your regular sleeping positions. With that in mind, keep reading this comprehensive Boyon Tongue Retainer review to learn more about this simple snoring aid and find out if meets your personal needs and preferences. Boyon Tongue Retainer is an anti snoring mouthpiece specifically designed to stabilize your tongue and prevent gravity from pulling it back once you fall asleep and your muscles start to relax. Naturally, it will only be effective if your snoring is caused by your tongue vibrating as the air passes by it at the back of your throat. Its new and improved design uses mild suction to stabilize your tongue without moving your jaw, which prevents jaw numbness and pain. 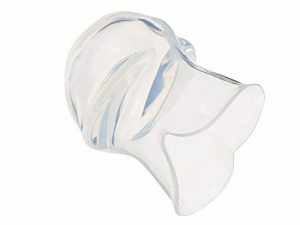 The mouthpiece is made of transparent BPA-free medical silicone. It measures 57 x 53mm (2.24” x 2.09”) and weighs only 10g (0.4oz). As we already mentioned, during the night, our bodies enter relaxation mode, which extends to our muscles, including the tongue. Once the tongue relaxes, it may slowly drop to the back of the throat and start obstructing it partially or completely. Partial obstruction results in the familiar sonorous, wheezing, and gargling sounds we call snoring. Total obstruction, on the other hand, creates an entirely different and much more dangerous problem known as sleep apnea. 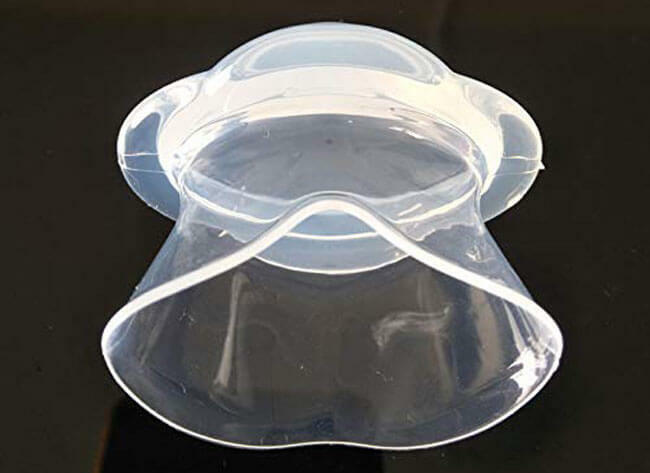 Tongue retaining devices, including the model created by Boyon, prevent this from happening by creating suction that holds your tongue forward, preventing it from collapsing and blocking the natural airflow. Again, this will only work if your snoring is caused by a collapsed tongue. A special silicone wrap that prevents your tongue from being bitten during the night. This is especially useful if you grind your teeth while you sleep. Generally, size is everything when it comes to snoring aids. 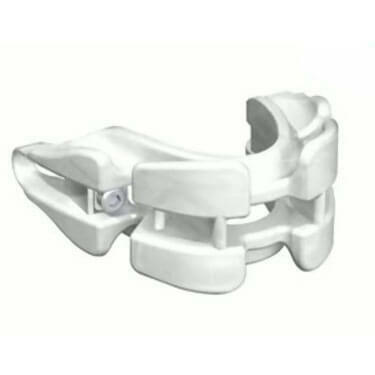 However, tongue retaining devices are usually one-size-fits-all devices that do not require any specific fitting protocol. Before putting the device into your mouth, you should mold it in hot water so that it can take the shape of your tongue and front teeth. Make sure to always wash it before and after using it. The manufacturer also provides a protective case that can be used to store it during the day, away from dust and other contaminants. Keep the mouthpiece in hot water until it becomes soft and malleable and place it in your mouth before going to bed. As we said, the device can be used successfully even without going through this process, but molding it will customize it just a bit for ultimate comfort. As we already mentioned in this Boyon Tongue Retained review, this device was made to solve a mechanical problem. In other words, if you snore because your tongue relaxes to the point of collapsing to the back of your throat while you sleep, this TRD will eliminate your snoring problem completely. On the other hand, if the cause of your snoring is the obstruction of your nasal cavity, Boyon Tongue Retainer is not the right solution for you. As stated, sleep apnea occurs when one of the natural airways is completely obstructed for whatever reason. For mouth breathers, the tongue is usually to blame, which means that if you manage to stabilize it in any way, you should be able to address sleep apnea successfully. This is exactly what Boyon TRD does since it creates a mild suction in order to pull your tongue forward and keep it from collapsing. It also protects your tongue from being bitten in case you start grinding your teeth involuntary or if you simply have a serious nightmare. Bottom line, if the obstruction of the natural airflow is caused by your tongue, Boyon TRD can help with your sleep apnea. Thanks to its improved design, Boyon eliminates jaw pain completely and protects your tongue from any harm while you sleep. Having said that, it may still cause some of the well-known side effects inherent to tongue retaining devices. In other words, you can expect mild tongue soreness as well as increased salivation until you get completely used to wearing it. Note that not all users experience these side effects, but even if you do, they are usually gone in just a couple of weeks. As already stated in this Boyon TRD review, this snoring aid is specifically made for individuals whose tongues block their airways when they sleep. Additionally, you must be able to breathe through your nose since tongue retaining devices partially block your mouth. Tongue retaining devices are an excellent choice for individuals with large tongues, tonsils, and uvulas. They also prevent bruxism since they do not allow you to clamp down with your jaw. Boyon works with any type of dentures, implants, partials, and other temporary or permanent dental fixtures. Customers who bought and used Boyon TRD were very pleased with its overall design. They were also satisfied with how it felt in their mouths, as medical silicone generally feels better than soft rubber. Many of them were happy to know the product is entirely BPA-free. 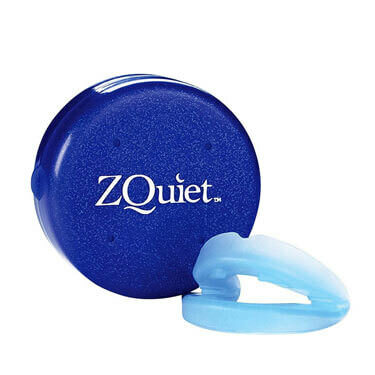 Most importantly, it was able to help many individuals eliminate their snoring and sleep apnea problems and the majority of users reported a significantly increased quality of sleep. Lastly, users reported that they started waking up well rested and without any usual symptoms of a bad night’s sleep. On the other hand, some of the users also experienced unwanted side effects, including hypersalivation, tongue soreness, and dry mouth. Few customers also developed infections at the tip of their tongues, but we have to blame poor hygiene for this one. Boyon Tongue Retainer costs $9.99, which is very affordable for an advanced snoring aid such as this. The mouthpiece falls under Amazon’s general refund policy, which means you have 30 days from the purchase date to test it and return it if it does not meet your personal requirements. This Boyon Tongue Retained review painted a comprehensive picture of a top-tier snoring aid designed to help people who experience airway obstruction due to tongue relaxation during the night. The mouthpiece will completely eliminate your snoring if it is caused by your tongue and it can even deal with mild cases of sleep apnea. It will even help you with bruxism and solve any problems caused by a large tongue, tonsils or uvula. 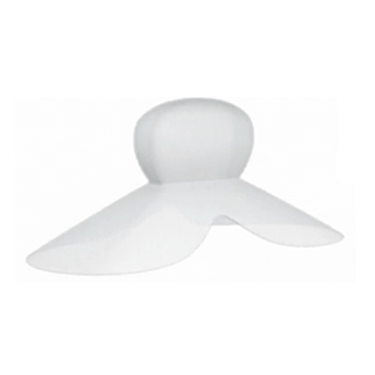 It is compatible with all kinds of permanent and temporary dental fixtures. 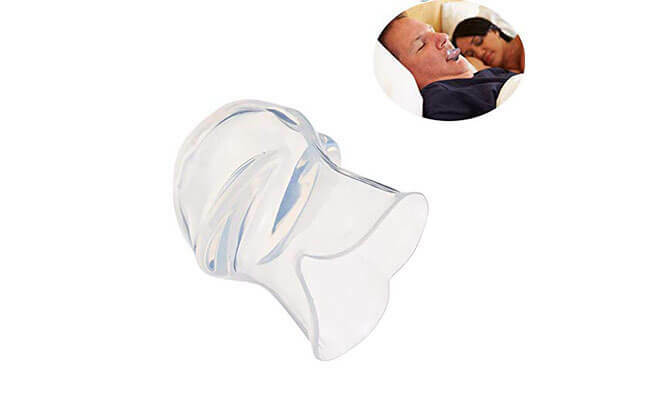 Finally, it comes with a low price tag, allowing anyone with snoring issues to successfully and easily solve this problem. Our ratings are the result of an objective and independent evaluation of Boyon Tongue Retainer , generating the final rating that reflects the overall quality of the company. Ratings may change as the product introduces changes. Boyon Tongue Retainer user rating based on 2 user reviews. We found 0 verified Boyon Tongue Retainer discounts for April, 2019. There are no Boyon Tongue Retainer coupons or discounts right now. 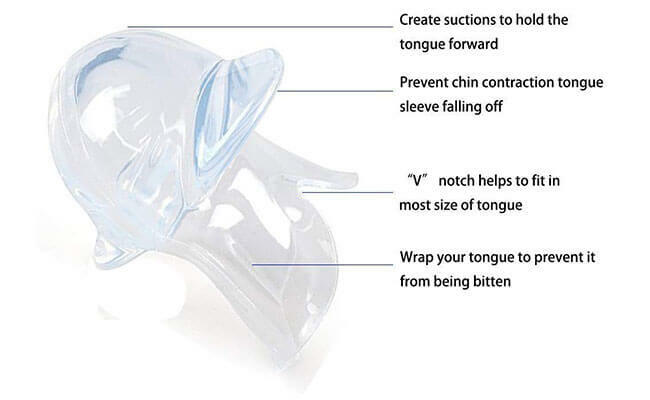 In order to be sure that Boyon Tongue Retainer truly is the best solution for your snoring troubles, you need to know what makes it superior or inferior to its alternatives. Discover how Boyon Tongue Retainer compares to other popular snoring aids of its kind with our detailed feature and price comparisons and easily determine whether you are making the right choice.